It may seem like he was a whiny kid who was bored all the time but, according to a new online comic, Luke Skywalker had adventures before he ever set foot in a space ship. 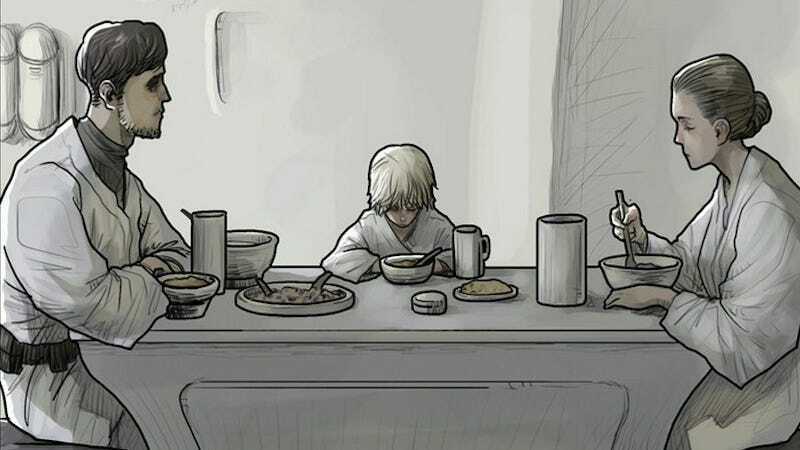 Begun by writer/artist Hong Jac-ga in Korea earlier this year, Star Wars: Story Before The Force Awakens is the tale of how Anakin’s son makes his first awkward steps toward his destiny. If you’ve ever wondered when Luke learned to shoot a rifle or what kinds of talks Uncle Owen and Ben Kenobi had on that dusty desert planet, then check out the first three chapters of the series’ English-language debut here. You lore-heads out there should know that this is an officially approved story but, according to Lucasfilm senior editor Jennifer Heddle it’s in a “grey area” as far as canon status is concerned.